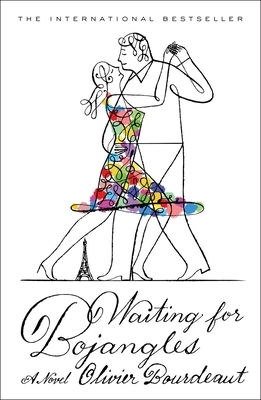 Waiting for Bojangles (Hardcover) | Eagle Harbor Book Co.
Bourdeaut's first novel packs a punch.It will make you burst into laughter, and then tears, but will leave you grateful for the ride. The story follows an eccentric family living in a Parisian apartment and is told from the perspective of a young boy whose mother is grappling with a degenerative mental illness, and a husband whose love for her only compounds over time. It's hard to believe the novel was translated from French, as its wit and rhyme cleverly shine through. Already a bestseller in France, this gem of a story and family will have English-speaking readers falling in love with it as well. The runaway international bestseller—shortlisted for one of France’s highest literary prizes—a dark, funny, and wholly charming novel about a young boy and his eccentric family who grapple with the realities of mental illness in unique and whimsical ways. A young boy lives with his madcap parents, Louise and George, and an exotic bird in a Parisian apartment, where the unopened mail rises in a tower by the door, the bird acts like a member of the family, and his parents dance to Nina Simone’s mellifluous classic “Mister Bojangles.” As his mother, mesmerizing and unpredictable, descends deeper into mental illness, it is up to the boy and his father to keep her safe and, when that fails, happy. Fleeing Paris for a country home in Spain, they come to understand that some of the most radiant people bear the heaviest burdens. Told from the perspective of a young boy who idolizes his parents and from George’s journals, detailing the epic love story with his wife, this charming, heartbreaking gem of a novel will stay with you long after the final page. As we read, their love story becomes ours.